Years ago, when I first saw a photo of this terracotta Gorgon, I thought it was Mayan! But no, it’s ancient Greek-Sicilian, from the 6th century BC, and it was found in Siracusa. 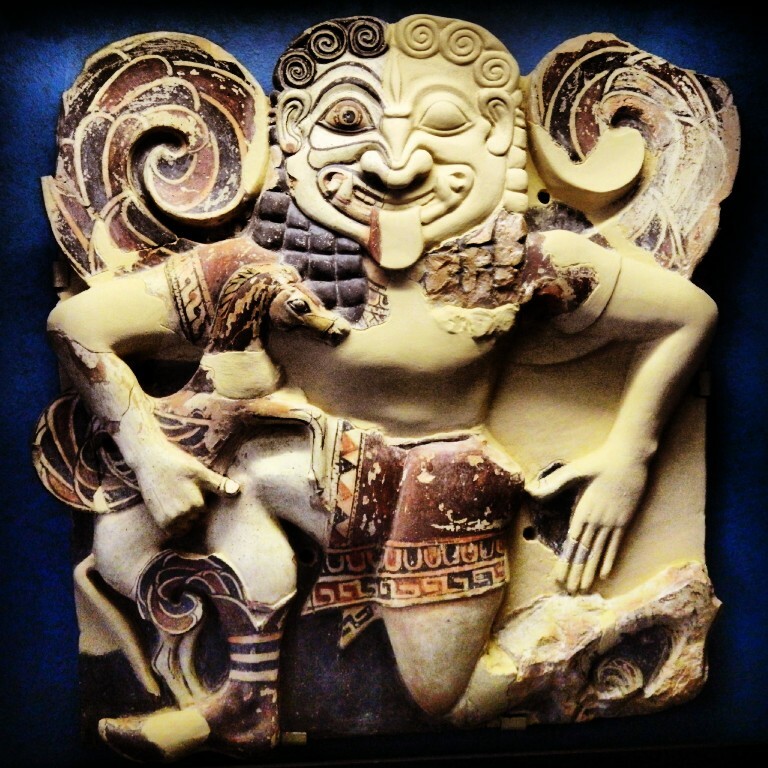 Archaeologists know it was part of a relief–not much more is known about it; however, it gives me a chance to tell you about the Gorgons, which important to note, are not gargoyles. Gorgons in Greek mythology were 3 winged, monstrous sisters. You are probably most familiar with the youngest, Medusa, and her hair of live snakes. Remember, if you looked at her, you would turn to stone? Well, there were two other seductive and irresistible-to-men sisters: Stheno and Euyale. As you might imagine from this relief, they were mysterious, fascinating to look at, and for fun, they destroyed men with their sharp fangs, manes of spewing snakes, and literally breathtaking looks.